Summerwood Condos is more than just UVU off-campus housing. From the moment you walk through the front door you’ll feel the comfort and security that make our residents happy to call us home. Fantastic amenities, well-groomed grounds, and a dedicated on-site office staff and maintenance team contribute to a higher standard of living. Summerwood is located directly across the street from UVU, near shopping malls, local stores and restaurants. The FrontRunner Station is right next door which means you have transportation options to get you anywhere from Ogden to Provo with ease. We’re also only a short drive from Provo Canyon for any outdoor leisure or activity you can think of. With bi-monthly Summerwood sponsored activities to get to know your neighbors, Summerwood Condos is a great place to call home! We aspire to create the most ideal living experience a student can have through reasonable rates, awesome amenities, and a safe and comfortable atmosphere. We think you’ll love our high-quality apartments just across from UVU’s North parking lot. 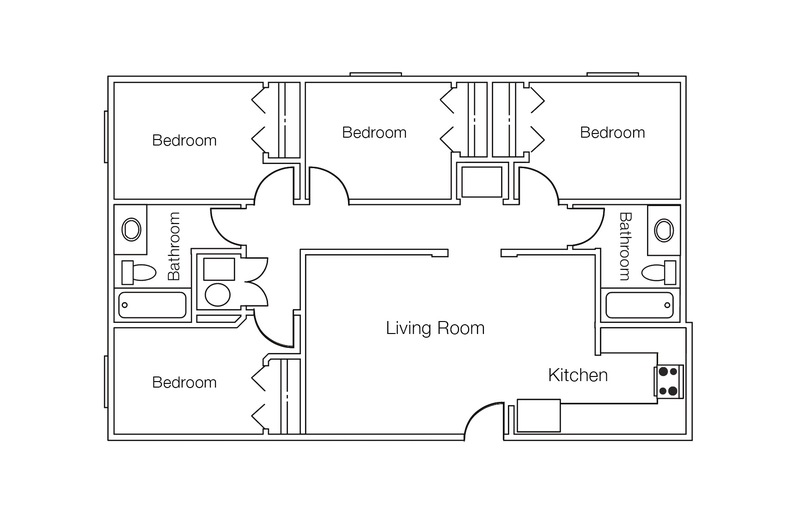 Our private room floor plans are designed for uninterrupted sleep, study, or phone calls back home.